Hurray for the new year! It’s time we all get our skates on so we can travel through 2016 with optimism and positivity. Last year may have been tough for many of us where we’ve struggled to find our feet. Thankfully now, they’re firmly on the ground, and we’re ready to get going. 2016 is an even number so. Hopefully, we can enjoy some well-needed balance in our lives. What has this wonderful year got in store for you? If you’re an Aries, you’ll surely know by now that you’re a sign that likes to have success wherever they go. It is going to be the year where you’ll learn much more than ever before, and you might even have an excellent opportunity to attend a course that will boost your career. Don’t worry, you won’t have to duck out of your career for this stage of the year. Instead, it’s something that will wonderfully mix in with the way you work in the week. This class, project or adult course might begin in April and could help you put plans in place right before your birthday. You might want to rush through and get your reward, however, you’ll need to learn how to be more patient. Fire signs like you prefer to see results quickly but unfortunately, life doesn’t always work that way. A quick fix isn’t always the right answer, so slow down a little and enjoy it. In May, you may have met new influencers in your field who could be the key to a new career, even if you were only initially thinking about enriching the one you’re currently in. Big changes could be under way, and you might come across a job that has your name written all over it. When it comes to your relationships, you really should learn how to let go of insecurities. You might think, “Who, me? !” but yes, we mean you. In your everyday life, you are quite the charismatic character, yet when you fall head over hooves for someone, your negative thoughts can stack up. The green-eyed monster could come out and spoil a new relationship in the summer. If you don’t like someone chatting up your potential partner, give them the opportunity to show you they are loyal instead of writing them off. You like to be chased, not the other way round, but just be careful not to jump to conclusions. If you’re currently in a committed relationship, this year could show you that sharing is caring. For example, you can’t invite a partner to live with you but then deny them pretty much all the wardrobe space. Make compromises, Aries. You can’t always have things your way even if you wish you could. Just ask yourself whether you’re being fair or not. If you step aside and allow them to be in your life fully, you’ll bond wonderfully with them this year. Towards the end of the year in September, you might experience a desire to visit overseas to a country you’ve never been before. Looking at travel guides may show you an entirely different environment that you want to explore. It won’t be a surprise if you meet people on this trip who will show you around the area so you can see all the hidden gems. The different culture will inspire you and could even give you a new lease of life. Luckily for you, this is the year where you’ll become the person you’re meant to be, Taurus. It wouldn’t surprise us if you struggled to find who you truly really are. You might want to change different aspects of your personality for the better but haven’t found much encouragement yet. In mid-January, someone could come along and completely change how you feel about yourself. Many of us go through life being knocked down because of strong traits that should be the cause of celebration. You’re an earth sign who can be quite stubborn, and you may have had this held against you for quite some time. However, it’s a vital part of how you reach success. If you settled for second best, you wouldn’t be where you are today. People can like that about you or leave it. Be careful not to abandon the great individual parts of your personality for other peoples’ benefit. The person will give you encouragement and they could be in the form of a friend or new colleague who might completely understand you. This individual could also be an Earth sign (Virgo, Taurus or Capricorn) who shares very similar values. Stick with this individual because they can help you see past obstacles. Success often comes in teams, and this is the person you’ll need to have on your best friend speed dial. Once you begin to find yourself again, you might need the extra time to do things you’ve wanted to do for a long time. When someone’s confidence is running low, it’s a time where they might abandon hobbies and interests. You may have felt like this throughout the last half of 2015. Once you feel yourself spark back up again, try spending a little more time on your own to get back in touch with what makes you happy. If you used to be a gym fanatic, why not sign up to a new class? If you used to cook yet stopped, try a mixing up your healthy meal recipes in January. If you want to spend a little more time on your own, express this towards a partner. If you drop off the face of the earth, they won’t be happy. Make sure you explain you want a little “you” time, just in case your partner is sensitive type. Once you’ve regained this confidence, you might even try out a new sense of style that could completely wow your significant other. If you’ve been a little shy about dressing up, now is the time to do it. Treat yourself and allow your charisma to skyrocket. You’ll feel as if you can achieve absolutely anything. From September through to November, it’s set to be an extremely busy time for you. You might suddenly experience an urge to boost your career or finances. Taking on more business or even a part time job could cause your spare time to reduce, yet you’ll feel much happier about where you’re heading. Be careful not to let yourself get too overwhelmed or you might want to drop all the progress you’ve made. Like we said, you’ll have this Earth sign on your side, so ask them for help if you need it. Last year, you may have been faced with a lot of responsibility, Gemini. It isn’t all bad, though! If you were thinking about buying a property or even moving to a new city, by April, this could well and truly become a reality. Before that time comes, make sure you’re looking through your finances properly. If you miss out small costs that add up, you might have less of a budget than you expected. Plan carefully and you’ll find it an absolute breeze. Once you make your move to a new property or city, most of your year will be centred around making this place your home. Learning different DIY tips and tricks will help you complete projects for a reduced price, which will overall improve your finances. Revamping a home isn’t easy so make sure that your budget includes important factors such as furnishings and electricals. Once you’ve settled in the middle of the year, you will feel much more at peace with your surroundings, and you’ll be able to relax finally. You might go through a change in your career, too! You’re a sign that can often excel at whatever is thrown at them, so it will come as no surprise if you begin a new career path and ace it within the first couple of months. Gemini, you love a challenge but don’t go changing everything just because you’re bored. If you love the way your career is moving, ask for more responsibility instead of packing your bags for a risky move. Once important people notice your desire to move up the ladder, the more they’ll respect you and include you in future projects. These teamworking exercises will suit you very well because of your amazing ability to communicate with others around. You might just be the missing jigsaw piece that everyone has been searching for. Expect rewards from people that will increase your confidence this year. For you Gemini, relationships can feel rather light and fluffy for 2016. If you have been in an established relationship for quite some time now, you might feel very settled without the scary commitment. You and your partner might be holding off living together or getting married because it doesn’t quite feel right yet. There’s nothing wrong with that, so ignore the silly comments people might make to you. Your relationship is between you and your partner so whatever you do, don’t let someone else’s opinion change your mind, especially if they’re a parent who wants grandchildren. This relationship may have been one of the most relaxed ones you’ve ever experienced, which is why this year will be easy and breezy. Going on holidays together yet still having time to yourself is the type of bliss an independent Air sign like you needs. It might surprise you to learn that no matter how long you’ve been together, this is the year where you might discover a new side to your personal, all thanks to your loved one. If they are more on the creative side, this could rub off on you. 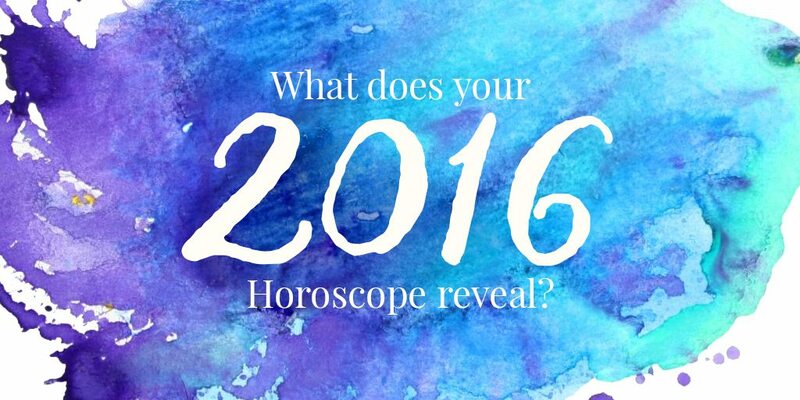 Luckily for you Cancer, a lot of positivity will take place in 2016. This is the year where you’ll be buzzing around like crazy, becoming super sociable and well-liked be people you meet. During the first four months, you might come across a new group of people that aren’t like the people you usually hang out with. You know what? It’s great news! If you’re used to a catty or gossip-like environment, these new people will be a breath of fresh air. For the past couple of years, you may have been linked with the “cool” gang yet the hierarchy isn’t something you’ve been a fan of. Just being yourself probably wasn’t possible just in case they disapproved of who you dated or what you even wore. It’s important that you branch out and spend time in places where you could find the more down to earth souls. As a water sign, your emotions can get to you and being around the wrong people (no matter how many) can make you feel more alone than ever. Remember, quality is better than quantity. Get back in touch with the old friends that know you best. Chances are, you’ll wonder why you put so much effort into that toxic gang that made you question yourself. May is an excellent time to meet new potential partners, too. Who knows, this new gang or old friend could introduce you to someone right up your street. At first, this person might completely sweep you off your feet with their humour and an incredible lust for life. As this star sign, you need someone who is emotional like you but someone who can also be laid back and fun. This individual will tick all the boxes so much that you’ll want to dive straight into commitment. Before you start writing love emails, take a step back. This free spirit might be someone who isn’t used to this type of attention, so take it easy instead of scaring them off. If you come across as someone who wants to spend every waking hour with them, they’ll run a mile. It may have taken you a few years to feel this comfortable around someone, so we won’t blame you for getting so excited. But what’s the rush? If something is amazing, let it grow and blossom like a beautiful flower. The most wonderful relationships take some time to nourish, so make sure you just step back and watch it transform. During July and around your birthday, you might think about reconnecting with your soul. 2015 was a busy year in your career, and you may have moved far away for a new job. This may have felt super hectic, but now you’re settled in your new environment, you can take some time out to yourself. Have a look at solo trips you can take to museums around the city to soak up the culture you’ve missed. Your world needs to slow down at times, so allow it to. Taking time out for yourself is a great way to recharge those drained batteries of 2015. It’s all about finding the people who connect with and refreshing your mind so that you’re ready to take on this year in an extremely positive way. Even though you’re a fire sign, you can be very doubtful about yourself, Leo. Last year may have proved to be a rough ride for you, regularly unaware of whether you’re about to go on yet another emotional rollercoaster. The matter of the fact is that you’ve accomplished a lot last year, and you’ve learnt how to trust your instincts more and follow what you believe in, no matter what. During the last couple of months of last year, you may have experienced a step up in career, again proving that you were on the right tracks all along. This positive growth continues to improve your life this year, and you could see yet another success to celebrate. You have your eye on the prize, yet you aren’t going to step ontop of people to get there. This is gong to earn you the maximum respect you need to climb the career ladder towards your goal. If you’re currently in a relationship, this is yet another year where it’s stress-free and wonderful. If you’re feeling 100% loved up and settled, just make sure you don’t change from acting like a girlfriend to a mother. When we adore someone, it’s easy to want to fuss over them. It might make you laugh, because, as a fire sign, this isn’t how you usually act in relationships yet this year, it could all change. You might even hear wedding bells way before it’s time to walk down the aisle. Flipping heck, Leo! Take it easy, will you?! Even if your relationships looks better than a romantic movie, just take it one step at a time. If you fancy being super caring, perhaps you should act like this towards someone who will appreciate it. Cook your Nana a meal every couple of weeks or pamper the living daylights out of your pet. Doing this will make you feel great without making your partner wince with embarrassment at being coo-coo’d over. This year is also an excellent time for personal projects. You might start a new blog or cooking Youtube channel that helps you with your confidence. 2016 is going to be a time where you’ll all of a sudden begin to feel very creative. If there’s any way to can do this in your spare time, do it and have some fun. Who knows, through this new hobby you could end up finding some success in it that continues onto 2017 and beyond. Don’t limit yourself and go with the flow! Last year was mainly focused on healing because it wasn’t an easy time for you, Virgo. From the very get go, you may have experienced challenges that broke you down emotionally and mentally. Luckily towards the end of 2015, you regained control of what was going on. 2016 thankfully brings some very much welcomed stability in many different areas of your life. It’s true that you will look at the world in a more positive light, and this is your new beginning, so take advantage of it. During January until March, you’ll be learning a lot of new skills which will help catapult you to the success you desired for some time now. Being the right mentors will make the process a lot easier, but make sure you give something back to help. If a boss is taking time out to help you, offer your help in return when the time comes. Even if you want to step it up a notch, taking a night class could be a great idea for you at the beginning of the year. If there aren’t any available to you, try watching tutorials that can talk you through the things you’re still having trouble understanding. 2015 was a big year for your love life, and there’s going to be a lot going on this year, too! Last year is where you may have established a steady, reliable and very loving relationship with someone who loves you exactly how you are. You will embark on another incredible journey together that will increase your love for each other even more. Moving abroad together or even buying a house could be the big step you make this year. This will more likely to happen towards the end of the year in September, so it’ll give you plenty time to save up the money you’ll need for your perfect home. If you haven’t quite found love yet, one amazing person could appear of the blue during March or closer to your birthday season at the end of August. The funny thing about this romance is that it might be with someone you didn’t get along with at first. You can’t resist this person’s charm any longer, Virgo, even if their charisma makes you shudder. After a while, you’ll learn not to judge a book by it’s cover because they’ll show you many different endearing sides to their personality. It was all a front, after all! It won’t surprise us if you experience a wonderful time with family during June and onwards, making you feel on top of the world. Weddings, births and engagement parties could fill your calendar this year. Make sure you pop some money away in your savings account just in case you need to travel to these family events. A wedding might see you become one of the main centres of attention. Why? It might be because you’re asked to be a Maid of Honor or a key part of a ceremony which means a lot to you. You’ll be able to shine bright without taking the attention of the people that matter the most. Enjoy being surrounded by love this year, you deserve it! You’re feeling wonderfully relaxed, aren’t you, Libra? As an air sign, this doesn’t surprise us. You’re the dreamy type who likes to keep their head in the clouds and chill out. Stressful situations make you run a mile, and this is the year where you’ll be dodging them in exchange for a fuss-free lifestyle. If you were guilty of spending or drinking too much, the first quarter of the year could bring a major detox to your life. Since you rarely think about consequences, you may have racked up a bill or two that took a while to pay off last year. You’ve learnt your lesson, and now you finally realise less is more. Root through your wardrobe and make up quirky outfits instead of buying new pieces that dramatically decrease your bank balance. Perhaps it would be a better idea for you to look at cheaper places to travel, too. All those luxury getaways feel great when you’re there, but when you come back, and you can’t afford pasta, you feel like rubbish. Instead of far away trips for two weeks, try looking at short city breaks to satisfy that never-ending wanderlust Libras so commonly experience. This way, you can have more holidays, explore more cultures but without throwing away all your money. Love is big on the cards for you, Libra. During the spring through to summer, you could come across a new person who ticks all your boxes. Creative? Yes. Open minded? Yes. Irresistibly charming? Double yes! The one thing you’ll need to learn is how to open fully to a new love in your life. In the past, you may have pushed people away because they’re getting a little too needy for your independent style. However, not everyone is like that. So don’t assume this is the way it’s going to be for every partner. This new love might think the same way you do, and they could respect your space and even ask for theirs, too. Once you’ve broken down that barrier, make sure the tables don’t turn too much. Without realising, you could come across as the type of person you despise in relationships, becoming too emotionally dependant on someone. This will only cause a strain on an otherwise mutual and easy going relationship. Towards the last four months of the year, you might decide to spring clean your entire life. Making room in your loft to store your summer clothes will give you space you desperately need. Go through those old clothes and decide what you need to keep in your life. You’re a sign that probably has heaps of clothes and trinkets yet struggles to part with them. Once you de-clutter your home, you’ll feel refresh, and you can finally begin to feel much more chilled out when you return every day from work. Good God, you’ve worked hard over the past couple of years, Scorpio. If you’ve picked yourself up and started again, your past year may have felt extremely exhausted. Thankfully now you are where you need to be, moving forward in the right direction. You now feel like you’re being true to yourself after your reinvention during the first half of 2015, which is why you’re ready to make this year the best one yet. Success might not come straight away but towards the middle of the year, they’ll slowly start coming through. An amazing career opportunity or a promotion could be in the cards, and you might just end up getting a brand new title on that business card. Lucky you! Make sure you do everything you can to reach that goal. If you still have gaps to fill in, make sure you tie up any unfinished projects so you can swiftly move onto the next. Working hard this year won’t be as much of a battle as it was last year and during August is when you’ll start getting the attention you want off all the right people. While everyone is taking their holidays, you’re saving yours til the end of the year so you can shine brightly at work instead. By December, you’ll realise how far you’ve come. You’ll be able to relax fully, which will put a spring in your step for 2017. The January craze to lose weight after the winter holidays isn’t your cup of tea. Instead of rushing to drop the pounds, you have a fantastic approach to your fitness. You might decide to cycle or walk to work instead of jumping on that train. With the money you save on transport, you could put it towards a new juicer so you can make amazing drinks for your morning exercise routine. 2016 is the year where you’ll treat your body as a temple, but you’ll do so with a sensible, balanced diet. While everyone else is cutting the carbs, you’ll be shredding the pounds and enjoying your meals, too. Make a goal and stick to it but remember not to be too harsh on yourself. Towards the end of August, you might see some positive transformations in your love life. For the past year or so, you may have been romantically linked with someone you weren’t quite sure about. Why is this the case, Scorpio? Unfortunately, emotional baggage from a previous relationship may have been getting in the way. We all know a broken heart is hard to heal, however, it’ll be even more difficult if you close yourself off from a wonderful relationship. Ask yourself whether you’ve been enjoying their company so far and whether you want this to continue. If you don’t, you’ll feel much better having complete independence back in your life so you can start fresh. If you do want to give it a go, for the love of God, let your guard down! Book a mini trip with them and allow yourself to get lost in flirtation and fun. This year for you is all about polishing who you are and how you look, Sagittarius. You might be a free spirit with a youthful sense of style. However, this year you’ll need to add some elegance. Even if your work environment is more on the chill-out side with casual wear, it doesn’t mean you should attend a meeting wearing dirty army boots. Don’t completely change who you are for other peoples’ benefit but make sure you are coming across as a professional individual. You could be the selling point and the reason a client signs up to your services, so revamp your wardrobe, so you fit the part. Pretend that you are a walking presentation and tweak bits and bobs that need a classic edge. Out of all the fire signs, you may feel the most uncomfortable with taking the lead in your career. Aries and Leo are happy as Larry to set goals for others so that projects are completed swiftly. However, this year is the one where you might receive a new position offer as a manager leading a team of people you haven’t worked with before. Take a deep breath, you’ve got this! Instead of doubting yourself straight away, ask someone who is experienced for advice. If you don’t want to come across as bossy, and you’d rather be the mother hen of a group, think about ways you can approach tasks and issues that could pop up. Once you can strike a balance between being approachable but respected in the workplace, projects will feel like a piece of cake! Your close relationships will be illuminated in February, and you might just find the perfect date in time for Valentine’s day. Make sure you aren’t ignoring those red flags they’re showing in the early days. If you do this, you could wind up realising they’re wrong for you six months in. Do you want to waste a fantastic year in a relationship that isn’t what you first thought it would be? Be a little more picky and don’t settle for the first offer you get. Your fiery ways can come across as deeply attractive to many people so you won’t be sure of offers. Lucky you, eh? Once you’ve met someone who matches everything you look for in a partner, you’ll probably end up enjoying a wonderful summer. If you’re already partnered up, you might end up buying or renting a property with them. There might be a few bust ups, especially if you don’t allow yourself to have “me” time. Moving in together is a huge step for a couple so you’ll have to figure out a way to keep your independence. Aren’t you feeling confident, Capricorn? This is a side to you we all love to see. A down to earth, happy individual is what you’ll be this year and no, you shouldn’t calm down! Last year, you worked very hard to secure a job that you enjoy so now you can start to settle down a little bit more. You’re no longer known as the “new person”, so you can begin to show that sunny personality of yours. You’re feeling great, so you might end up doing something amazing for other people around. A bake sale or race for charity might get you gearing up for the year and it might not be something you’ve ever tried before. This year is all about getting out of your comfort zone. You’re usually such a logical person who likes to be practical yet throughout the year; you’ll be able to let loose and have some fun. Your career life will see some changes and they’re for the better. In September, you could end up being offered a brand new position in the department you currently work in. A slight step up might take place, but it might not be a huge jump, which is great if you’re comfortable where you are at the first month of the year. If you want to broaden your horizons towards the end of the year, it’s a good time to finally finishing writing that novel of yours that’s been stop-start for years. If you need a little help, seek out a good editor or publisher who could help get this project off the ground and running. You’re always full of ideas and enthusiasm, so you’ll probably end up wowing them into the idea straight away. Travel plays a huge part in your year, thank goodness! Due to all your hard work up to November 2015, you may not have been out of the country for quite some time. Were your “holidays” actually spent doing more work? Well, you’re going to experience soon exactly what one should be. Turn off your mobile phone, step away from your emails and detach yourself. Many travel deals could pop up throughout the year meaning you could take part in weekend adventure trips. Invite a few friends on this journey and you might end up meeting people from different cultures who inspire you. By the end of the year, you might even partake in a romantic getaway with a new or existed partner for Christmas. Who knows, you might even spend the festive holidays in a hotter climate, and it might make you feel a little strange at first however, it’ll end up being an experience you’ll never forget. You’ve been waiting for a year like this for a while now. Guess what? It’s finally here! You’ll start off this year with a bang as everything seems to be on a high note at the moment. This happy year is mostly down to your incredible love life. You’re probably the sign that’s the luckiest in love at the moment, and everything is set to go your way. Even if you experience a few bumps in the road, they’ll only be minor, and you’ll learn some useless lessons. This is the year where you might move in with someone, start a family or get married. Big events are on the cards, so get ready for one of the best times ever! Between February and March plus a great month in December, your romantic life will be off the charts! In your career sector, you will need to make sure you have the right people backing your ideas. In the past, you may have been tricked in business, so this is the year a few dishonest business partners could pop up. Keep your wits about you, Aquarius and you’ll dream will become a reality. Whether you want to launch a product or create a new business, now is the time. Gather together some business plans and organise like crazy so everything can run smoothly in the first couple of months. Once you get started, you might find that it’s a little difficult at first but after the first half of the year passes, it’ll begin to get easier. Keep your eye out for talent additions for your team and don’t let one person slip just because they don’t have enough experience. Give them a chance and they’ll be loyal. In other news, you might decide to introduce some gentle exercise into your everyday life to improve your health. If you’re getting older and you don’t feel fit, a gentle jog or yoga every week could hit the nail on the head. Try not to go too over the top because you could end up feeling more worn out than you did in the first place. Build up your regime and slightly alternate your diet so you can start to see the better results. By the summer, you could feel as confident as ever to flaunt your body on the beach, regardless of how toned you are. If you’ve got it, work it! There’s going to be a very important person who will arrive. They could completely transform everything for you. Yes, that’s right! This person could be a new partner, a best friend or even someone you’re going to work with for years to come. You may have found it difficult to connect with people last year, and a few friendships may have hit a few bumps in the road. However, this year, you’re going to find your cosmic twin in life, and they’ll be the person you will support you through all the ups and downs. If it’s a partner, they could be the love of your life. You might end up meeting them on holiday, and this summer romance could turn into something much more than you expected. If they are a friend, they’ll soon start to feel more like a sibling. If this person comes along in business, you might end up sharing a business in the new year. This person could be entirely different from you in many different ways, which is why they compliment you so much. Fortunately, they’ll share the same view on important matters, so it’s likely that this combo will be smooth sailing. If you’re a Pisces currently in a romantic relationship, it could take a turn for the serious route in September, and you’re ready for it. You might pack your bags and go on an epic adventure together, or you might even end up buying a property abroad to visit in the summer. Your relationship will alter in some way, and it will bring more happiness into your life for years to come. Those past relationships that have been and gone now seem worth it because of this amazing person that’s now in your life. If you want to start having children, now is the year to plan around this. You might need to save up some cash to kit out your spare bedroom to make it infant-ready. When it comes to your career, this is the year where you’ll climb the ladder and by the end of the year, you’ll have to celebrate. If you started a business last year, you will see it get bigger and bigger throughout the year, especially in March. If this is something you would like to get started on, again, March is an excellent time for your career, so it’s a great idea to start. Mocking up plans and what you want your business to achieve is an essential part of the process. You can do it, so believe in yourself!